Twitter has launched Quick Promote, a feature that makes it easier for businesses to buy ads on the platform. Until last week, users who wanted to increase message reach with paid advertising had to log into Twitter for Business to create their paid social content. Now, they can opt to promote successful tweets from within the Twitter Analytics dashboard, in “just a few clicks”. Since we launched our self-service ad platform in 2013, we’ve developed a range of products to help [SMEs] accomplish their marketing goals. […] Starting today, you can use quick promote to amplify your best-performing tweets directly from the Tweet activity dashboard." 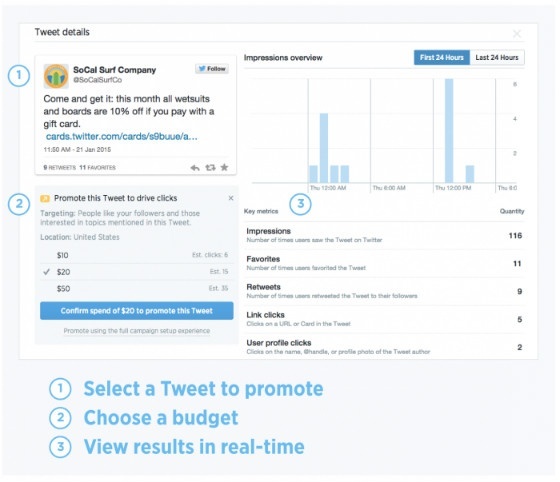 According to Twitter, users need only select a tweet to promote, and then select a budget. Quick Promote then provides real-time analytics, showing impressions, favourites, retweets, link clicks and profile clicks. Research from Edelman has revealed interesting insights on businesses’ social media use, and their plans for future growth. Social media marketers in Ireland were quizzed on the social channels they focus on currently, as well as the channels they plan to grow their presence on in the future. Twitter was considered to be the most effective channel, with 67% of marketers agreeing when asked ‘Is your Twitter marketing effective?’. 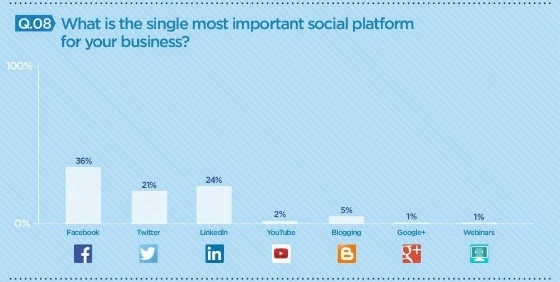 However brands considered Facebook to be the most important social network. According to SocialTimes, this is “largely because of its size”. Overall, 87% of brands actively use Twitter, 74% use LinkedIn, and 73% use Facebook to market their products. Google+ trailed behind with 30% of brands actively managing their presence on the channel. And in the battle of the photo-sharing platforms, Instagram trumps Pinterest, with 16% of brands using the channel, versus 14% for Pinterest. You can view an infographic that details the findings here. Pinterest Planning to Introduce ‘Buy’ Button By August? Pinterest could be launching a ‘Buy’ button within six months, according to Re/code author Jason Del Ray. If Del Ray’s sources are correct, the button will sit alongside other recent developments on the platform – including its ‘Install’ button for apps, and its Promoted Pins advertising feature, which has yet to be rolled out to the UK. Many commentators have suggested that 2015 will be the year that paid social media promotion comes into its own. As Del Ray points out, Pinterest has “the potential to become a spectacular e-Commerce platform”. It’s logical to assume people are signaling some interest — if not clear purchase intent — in a product when they Pin an image. By adding a Buy button, Pinterest is aiming to shrink the time between wanting something and buying it." 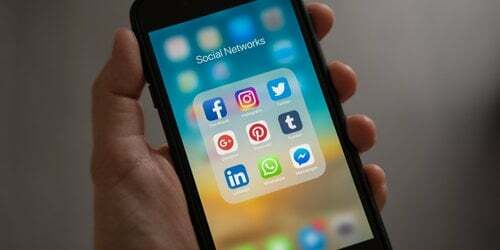 However, despite its potential, the platform will have its work cut out to catch up with Facebook and Twitter, both of which have long-established paid promotional features, and are already experimenting with their own ‘Buy’ buttons. 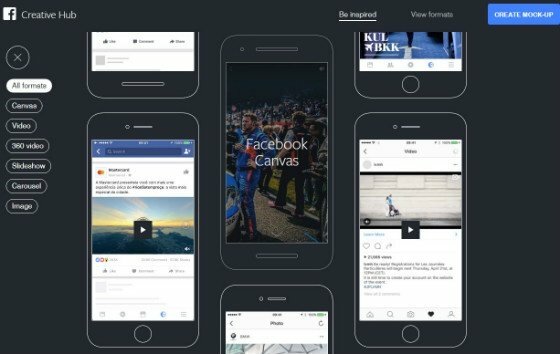 [Facebook and Twitter’s] tests, coupled with the rise of discovery-driven commerce apps such as Fancy, Wish and Wanelo, may have forced Pinterest’s hand in introducing a shopping function sooner than it had originally planned." 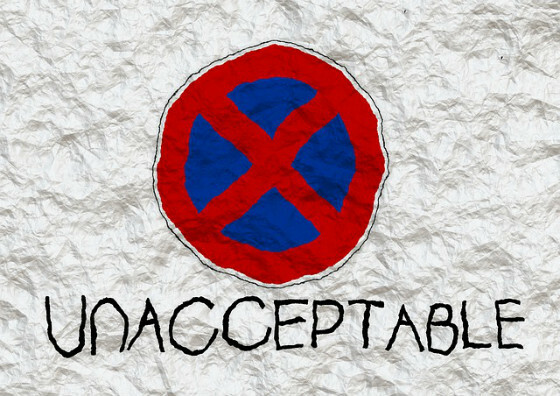 In a development that coincided with the news of Pinterest’s rumoured ‘Buy’ button, the platform has announced a ban on affiliate links. As of Thursday evening, the company will “automatically remove all affiliate links, redirects and trackers on Pins”. The news was broken rather quietly, in an email to Pinterest’s much-followed ‘power pinners’. As VentureBeat points out, this isn’t the first time Pinterest has cracked down on affiliate links, but is the first time they’ve implemented a site-wide ban. One could be forgiven for thinking this move is related to Pinterest’s plans to ramp up its monetisation efforts. 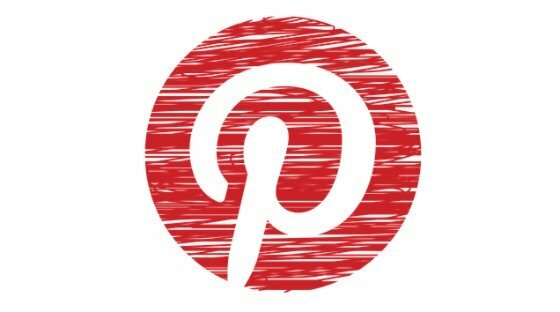 However, a Pinterest spokesperson told VentureBeat the change “is 100% about the Pinner experience and ensuring relevant content on Pinterest”. We are removing affiliate links to ensure we’re providing the best possible experience for Pinners. Recently, we observed affiliate links and redirects causing irrelevant Pins in feeds, broken links and other spammy behaviour. "We believe this change will enable us to keep the high bar of relevancy and quality Pinners expect from Pinterest." If you ever needed evidence that social media is completely ingrained in our lives, here it is: Facebook has introduced a new feature that allows users to choose what happens to their accounts when they die. According to The Independent, Facebook users can now choose to appoint a ‘digital heir’ to manage their profile page once they’re gone – or opt to have their profile deleted entirely. Facebook heirs will not have complete control over the deceased person’s page – they will not be able to create new posts, for example. However, they will be able to pin posts, change profile pictures and reply to friend requests. Users can nominate heirs through Facebook’s security settings, and instructions can also be left in normal wills. 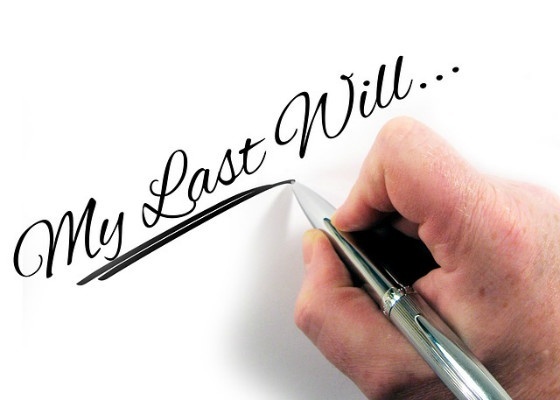 If a user dies without leaving a will, or nominating a digital heir, the page will be frozen in a process dubbed ‘memorialisation’ – similar to what happens already when Facebook learns that a user has died. The ‘digital heir’ feature is only available in the US at the moment, but is expected to roll out worldwide. Read last week’s social media news roundup: A User-Friendly Twitter? A Child-Friendly Vine? Download your free social media marketing calendar, included in our eBook: Editorial Calendars for Content Marketing.